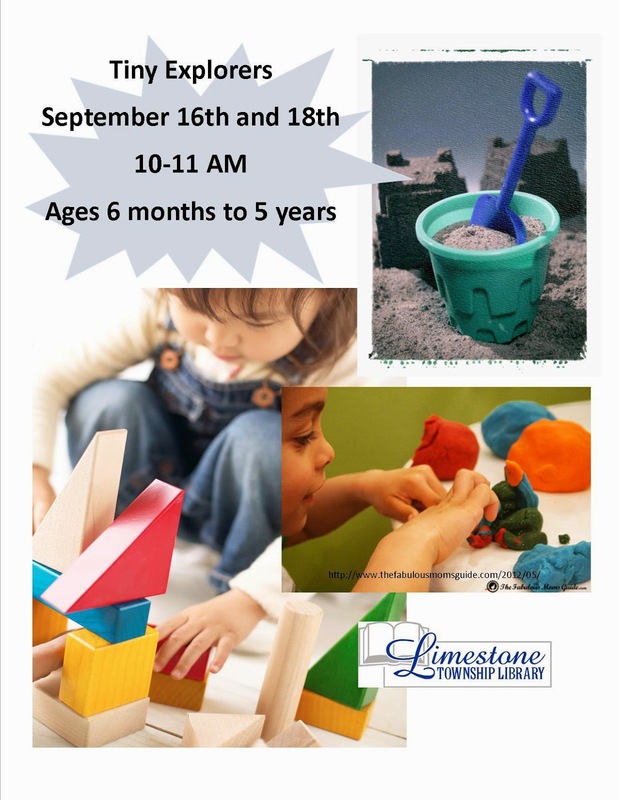 Tiny Explorers will meet Tuesday, September 16th or Thursday, September 18th from 10-11 AM. for children 6 months to 5 years old. Sign up for either Tuesday or Thursday by calling the library at 815-939-1696.